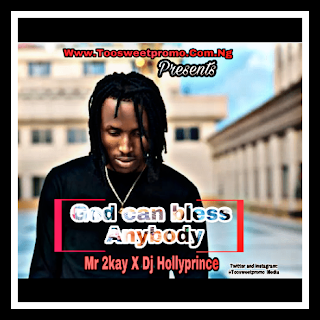 God can bless anybody is a song from the newly released album of Mr 2kay titled #Elevated, the album is currently making wave all over social medias bought online and offline. Here Dj Holyprince has came up with a refix audio of a track named "God can bless anybody" one the most rated track from the #Elevated album. Download, Share, comment, and enjoy. DOWNLOAD MP3 GODD CAN BLESS ANYBODY.